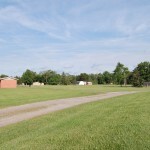 The Blue Creek Recreation Area / Nona France Park, located on State Route 64 (Waterville Street) near the eastern edge of the Village, was once the location of the Nona France Stone Quarry and consists of 80+ acres of land. The Metropolitan Park District owns the land and it abuts the Blue Creek Conservation Area, also owned by the Metroparks. 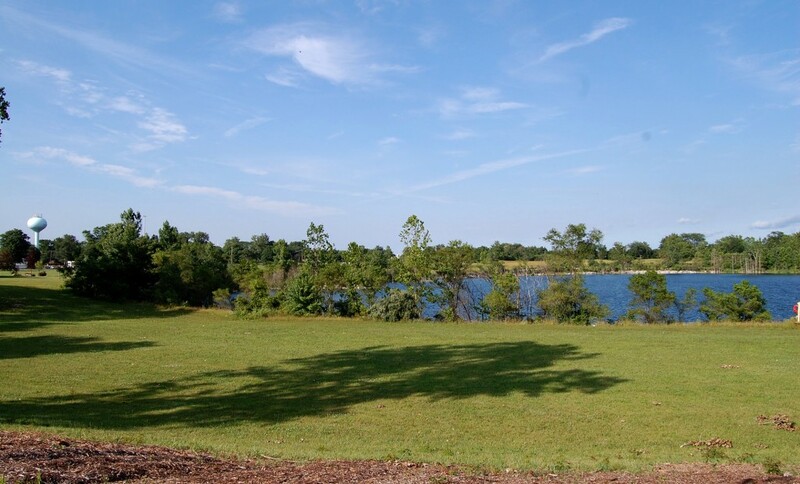 The largest of the old stone quarries is located on this property and provides beautiful scenery where many different forms of wildlife can be spotted, including birds, butterflies, deer, fox, raccoons, ducks, geese, etc. Fishing and non-motorized boating are allowed. Swimming is not allowed at the current time, but this is something that the Village is considering for the future. There is a sledding hill located on the property where children of all ages can be seen enjoying the cold wintry days. 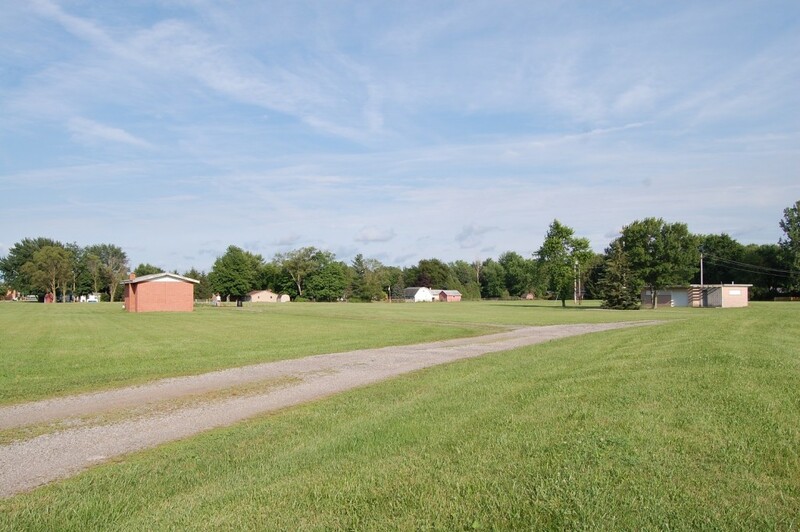 Plenty of wide open space encourages picnickers, practice fields for sports teams, and just plain lounging around! Bring a blanket, picnic lunch, and your camera for a great fun-filled day. 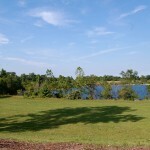 Village Park is the largest and most centrally located. It offers shelterhouses which can be used for special events and family gatherings. Reservations are required and can be made by calling Village employees at 419-877-5383. 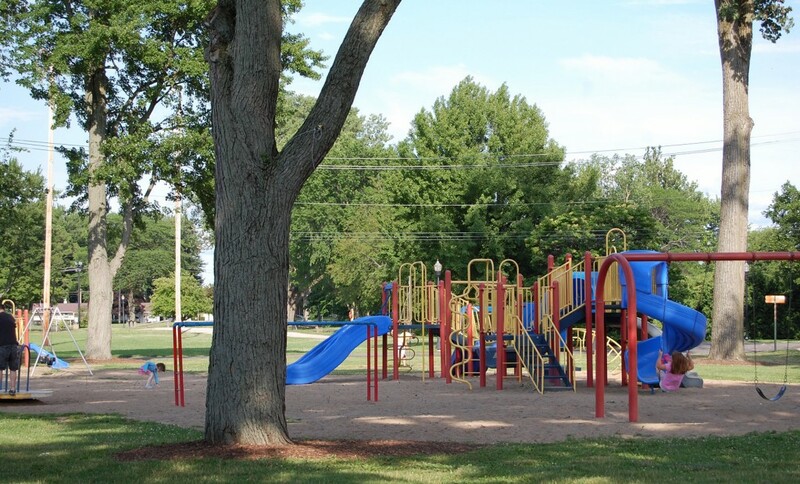 This Park also features two separate playground areas, one for older children with climbing equipment, swings, slides, and monkey bars and one suitable for toddler and younger children. Recently, pickleball courts were added to the park, and the basketball court was resurfaced. The park is bordered on the eastern side by the small Village Quarry. This quarry was part of the original stone quarry operated in the late 1800’s and furnished stone for the railroad beds west of the Village. The quarries have been operated as the Pray-Hall Quarry, the Whitehouse Stone Company, the Erie Stone Company and the Nona France Stone Quarry. Fishing is allowed from waters’ edge or non-motorized boats, but no swimming is allowed in the quarry. It serves as a tranquil place to rest, relax and enjoy nature. There are two walking/jogging paths surrounding the quarry, one is paved and approximately ½ mile long and the other is a gravel ¼ mile path. These are used often by residents and school sports groups. There are also two softball/ baseball diamonds located at the Village park used on a nightly basis during the spring and summer months. Sandra Park is located in the northwestern section of the Village (off Sandra Drive between Cemetery and Finzel Roads) and was formerly one of the Village water well properties. In 2013, the Village constructed a community garden area with mulched paths and water lines. Many residents took advantage of the garden plots and have enjoyed growing fruits, vegetables and flowers throughout the summer months. 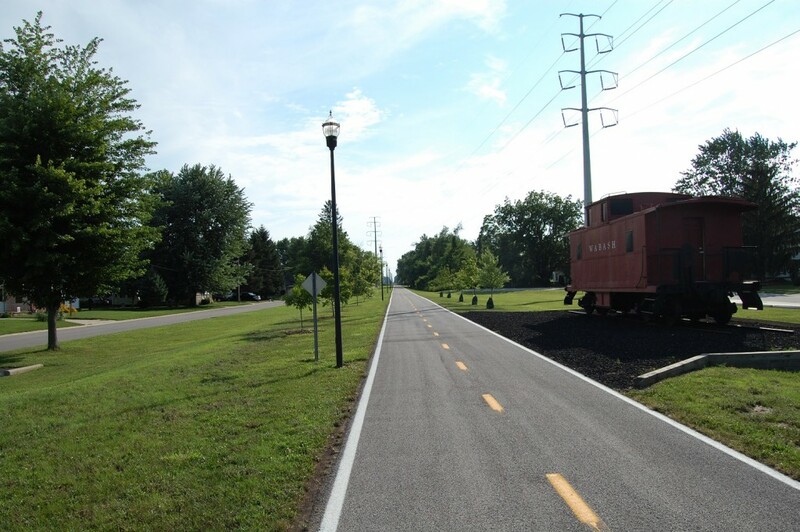 The Wabash Cannonball Trail is a 63 mile multi-use recreational trail in Northwest Ohio. It provides non-motorized access to hikers, bikers, equestrians (some jurisdictions may restrict horse traffic), and cross-country skiers. The 12 foot wide trail surface varies within the different jurisdictions, from asphalt to hard packed cinder ballast. The trail is a part of the nationwide movement to rejuvenate former railroad corridors into linear parks where people can enjoy the beauty and solitude of the outdoors while also providing a safe alternate mode of transportation between communities along the route. There are more than 15,000 miles of rail-trails throughout the United States. 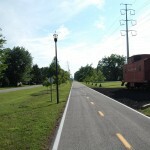 View the Rails-to-Trails Conservancy web site for more information about rail-trails. Portions of the Wabash Cannonball Trail are also certified segments of the North Country National Scenic Trail, a 4,600 mile long hiking trail connecting the Lewis and Clark Trail in western North Dakota with the Appalachian Trail in upstate New York. 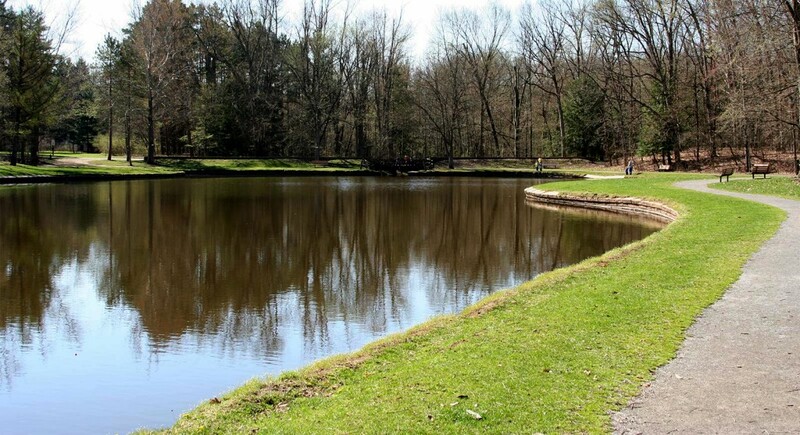 Oak Openings Preserve Metropark is the largest of the Toledo Area Metroparks. 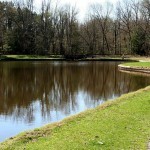 It is a nature preserve located between Whitehouse, Ohio and Swanton, Ohio. Our little red caboose was built in 1927 at the Norfolk & Western east end shops in Roanoke, Va. At one time, it weighed 49,600 pounds but now tips the scale at 34,000 pounds. 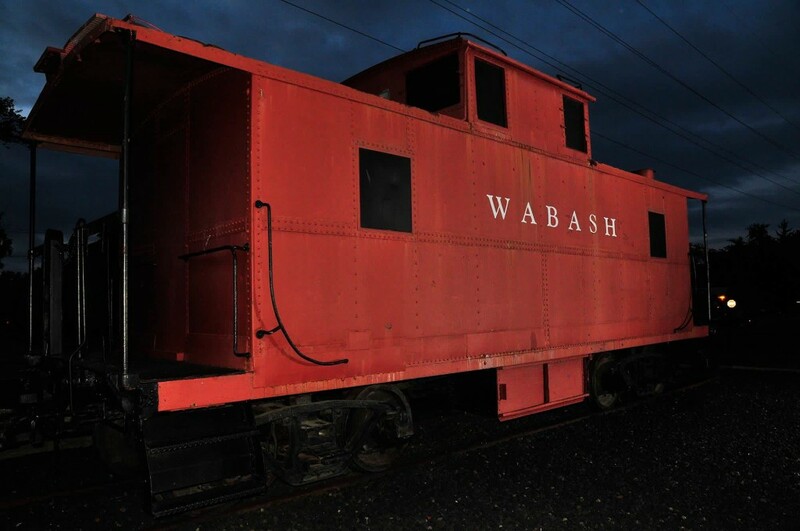 The Village of Whitehouse purchased the Wabash Cannonball Railroad Caboose and had it transported to the Village downtown business district on August 26, 2003. It arrived on a flatbed truck and was hoisted by crane off the truck and onto a panel track at the display site. The wheels, which had been removed during transport, were reattached at the site. 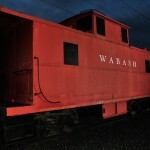 After several years of debating what to do with the caboose, it was finally restored in late 2008/early 2009. After a little scraping, welding, priming and painting, it is an attractive addition to our downtown district..
Veterans Memorial Park is a public park located in downtown Whitehouse, Ohio that provides a solemn, beautiful space to remember and honor all those who have served in the armed forces of the United States of America. The park recognizes area veterans who made the ultimate sacrifice during wartimes, as well as police, fire and rescue forces. 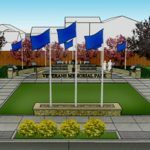 Planners envision this park to be an educational tool for individuals and school children, lifting up the sacrifices made by those who serve in the military and civic forces. People can gather here for ceremonies, reflection and conversation. The park will include monuments, flags, a fountain, a shelter house and a lending library. 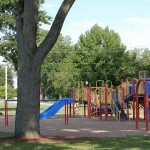 The park is a collaborative effort between the municipality of Whitehouse, donors and community volunteers. Funds are being raised through Destination Whitehouse Inc., a 501(c)(3) nonprofit agency in Whitehouse, Ohio. Park designs were created by the Edge Group. Please mail checks or money orders only; we are not processing credit cards at this time. Note: 100 percent of monetary donations are eligible for tax deduction. Please include your full contact information with your donation. Click here to download information & donation brochure. 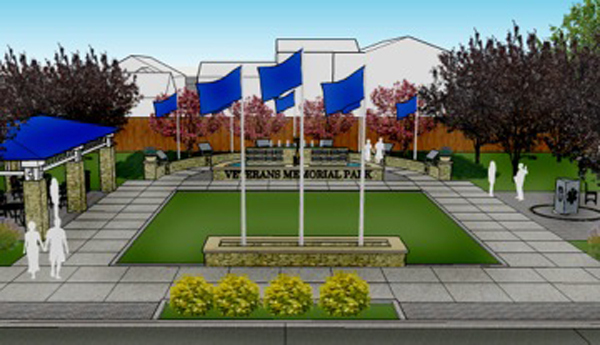 For more information, email: veteransmemorialparkwhitehouse@gmail.com.